There’s an old saying: “Many a slip twixt the cup and the lip.” It refers to people who blow opportunities after thinking something is a “done deal.” Well, if you’re among the ten million-plus people planning to purchase a home this year or next, you’ll want to keep yourself from making a mistake. Three-quarters of all homes are purchased using a mortgage. This means that your lender has the final say about whether or not your home closes escrow. As the new mortgage applicant, your job is to keep the bank on track. Remember, a loan approval is not the same as a loan. There are 5 common blunders homebuyers make during the mortgage approval process, and none of them end well. Avoid these errors and you’ll get to closing quicker on your new mortgage. It seems obvious that you shouldn’t quit your job while a mortgage loan application is in process, but buyers make this mistake all the time, especially if they’re taking a new job with higher pay. A mortgage underwriter’s job is to make sure you meet all of the bank’s home loan standards. One such standard is linked to your income; the bank wants it to be stable, ongoing, and sufficient to pay your bills. If, during escrow, you take a new job within the same industry, earning as much or more than previously, your underwriter likely won’t care. If your new job is a switch for you, though, even in a related field, you could be in for trouble. And, if you’re going self-employed, or you’re an attorney about to make partner, forget about it. Mortgage underwriters can revoke your approval if your new job’s income is unstable or unclear. Therefore, if you must change jobs, talk to a loan officer first for guidance. As part of most mortgage applications, there’s a disclosure warning borrowers to avoid large purchases and to avoid applying for new credit until their mortgage has closed. For some reason, this advice tends to fall on deaf ears, especially during holiday season. Yes, it can be tempting to save 25% or more when you sign up for a store charge card, but once you apply, your entire loan application must be resubmitted to underwriting. Alert: You may not qualify the second time through. If your credit score drops before you close, or if your new card payment affects your DTI, you could be hit with higher mortgage pricing or your approval could be revoked. This one is a little less obvious. As a homebuyer, your mortgage down payment can come from a lot of sources. You can take a gift from a family member; or, get a down payment grant from the government; or, even take a loan against your 401(k). However, you may not get help with your down payment from anyone who benefits from the purchase or sale of your home. This means that your real estate agent cannot provide a portion of your down payment and neither can the seller, although the seller can pay for your closing costs. 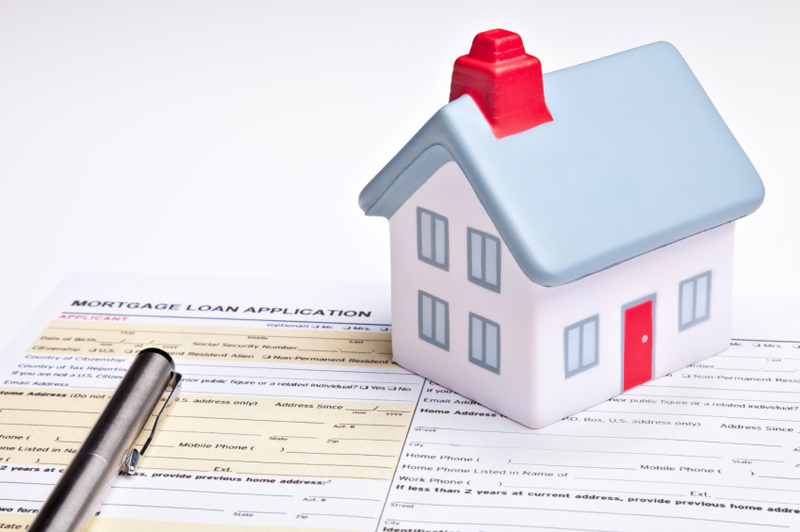 Sometimes, during the new mortgage approval process, your source of funds goes sideways. Maybe you were planning to sell a stock and the stock’s value tanked. Or, maybe you were getting help from an aunt or uncle and now you’re getting help from your parents. Whenever there’s a change to your source of down payment, that change is subject to review by an underwriter. And don’t think an underwriter won’t know, they always know. Once your down payment source changes, your file must be re-underwritten. Anecdotally, one Nevada real estate agent learned those two days before closing, his buyer did not transfer retirement funds to use for down payment as expected. Instead, the buyer sold his baseball card collection and a motorcycle. Naturally, the loan did the not close. It’s okay to sell things to get a down payment, but only if you can prove that you owned the item, what its value was, and that someone bought it from you. Gathering that sort of paperwork takes times and you don’t want to surprise your bank or the seller days before closing. Never forget that your loan isn’t funded until it’s been funded. Even if you’ve been issued a “final approval”, your approval can still be revoked. This one bites tends to bite homeowners doing a home loan refinance. They receive their cleared-to-close notice from the bank and mistakenly believe they can skip a mortgage payment because the new loan pays off the old one. This is not true. All payments should be made until the new mortgage is funded. There are few credit events, which create fallout like a late mortgage payment. Even just one could strip your FICO of 100 points or more. Keep paying your old mortgage, even if you don’t think it’s necessary. Your old lender is required by law to refund overpayments and you’ll likely get yours within a month. It’s easier than ever to stay connected to the world so, whatever you do, make sure you remain accessible to your mortgage lender throughout the approval process. Buying a home is a huge investment and far from foolproof. Be available to answer questions, to give guidance, and to submit additional paperwork upon request. If you must use Power of Attorney during the loan approval process, make sure that your lender will allow it. There are often restrictions related to Power of Attorney and real estate and you want to make sure you don’t get yourself tripped up. Mortgage lenders are approving more new mortgage loans than during any period this decade, but there are still foolproof ways to get your loan denied. Avoid them if you can.